[Written by Larry Burchall] Premier Dr Ewart Brown was a strong and aggressive leader. Perfectly suited to leading a revolt or fighting for change. As a 1960’s student at America’s Howard University, he did both. After almost three decades living as a black professional, amongst black minority Americans, he came back to Bermuda, and jumped into Bermuda politics. In his very first campaign, he wrenched a seat from the UBP when he booted out former UBP Premier Sir ‘Jack’ Sharpe. But this wasn’t the first time that he’d come back to Bermuda. As a qualified doctor, he had come back in the sixties, tried and failed to get a licence to practice and left the Island. He believes – as I and many other black Bermudians do – that his ‘failure’ to pass the Bermuda ‘medical board’ exam was racially motivated by a desire to keep him – a black man seen as a black radical – out of Bermuda. Deeply angered, Dr Brown left his homeland. He returned, and he returned angry. Angry but disciplined and controlled. And that I understand. He had the coldly disciplined anger of a man determined to gain his objective. That, I understood and was familiar with. Dr Brown’s first political re-entry into Bermuda was through the “Bermuda Times”. As primary shareholder, he bankrolled that newspaper for ten years. In ten years, the “Bermuda Times” never ever got mainstream advertising. In April 1996, the “Bermuda Times” folded. Contrast that with Bernews which picked up mainstream advertising within twenty days of going live. Even in 1996, times were different. Very different. 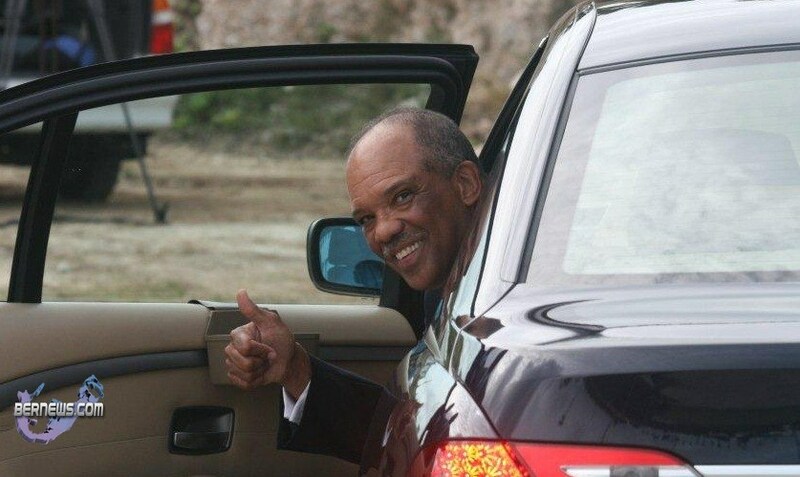 From working with him on his 1993 campaign, writing in the Bermuda Times (1992 – 1996), and ‘keeping in touch’ and aware of and quietly supporting the July 2003 takeover attempt; I have always seen Dr Brown as an intelligent, strong, and aggressive leader. A person ideally suited to lead change – radical change. After winning his seat in October 1993 as a member of the PLP in Opposition, he went on to become Premier in October 2007. A fourteen year disciplined advance on an objective. In October 2007, Premier Dr The Honourable Ewart F Brown was successfully on the objective. He had won, and won all. However in 2007, Bermuda was not the Bermuda of 1967. True, same roads, same beaches, even some of the same people – and attitudes – around. But by 2007, Bermuda had undergone massive social and economic upheavals. The Tourist Industry was near collapse with income from Tourism now bringing in about 20c in the dollar; and doing about a half of the value of the business that it had been doing in 1967. International Business – a brash upstart in 1967 – was now top dog bringing in about 80c on the dollar; doing more than ten times the value of the business that it had been doing in 1967. Bermudians, still begrudgingly integrating in 1967, were fully integrated by 2007. A quick scan of the population would still see colour divisions all over the place, but the divisions were not the same as in 1967. Perhaps the easiest environment showin the changes in the quality of racial division was in Government employment. In 1967, Government was about 70 percent white and blacks were only inching into some Government offices; and there were no black Permanent Secretary equivalents. By 2007, Government was 80 percent black and there was only one white Permanent Secretary still holding on. So even ‘Tokenism’ had changed complexion. The “old white guys” who ran Bermuda from the Front Street of 1967 had all gone. Flagship Trimingham’s was being converted into a bank. The Bank of Bermuda had gone and a black man now ran the HSBC operation that had shoved that old bank aside. In 1967 the House of Assembly only had eleven black people sitting in it, and twenty-five whites. By 2007, things had changed so much that there were now thirty-one blacks and only four relatively powerless whites sitting in Opposition. Over the forty year span between 1967 and 2007, all of the change – social and economic – that had happened in Bermuda had been of that massive order. It was onto this changed national stage that Premier Dr Brown strode in November 2007. He strode on, and, as it turned out, brought his demons of the 1960’s with him. Aggressive, strong, intelligent, he pushed national as well as personal objectives. But his personal objectives eventually overshadowed his political objectives. He pursued some kind of racial redress. He used the Bermuda Race Relations Initiative to re-awaken subsiding racial feelings. This action was much like the famous scene in the Michael Jackson “Thriller” where all the ghouls emerge and, led by Michael, dance and cavort. Then the video ends. All the while, ordinary everyday Bermuda had quietly gone on with the process of integrating and blending in the unstructured and chaotic way that all societies all over the world deal with real social change. Sometimes seemingly slow progress, other times all change in a blink, as when Barack Obama first strode into the Oval Office. Politically, Dr Brown sought change by providing better medical, social, welfare, and transportation changes to Bermuda. In 2010, Education remains unfixed, Tourism is still in decline, Crime and National Debt levels are at all time highs. The Debt mountain that happened will still be with us fifteen years from now when today’s three-year-olds turn eighteen. Overall, Dr Brown was only partially successful in achieving political and social objectives. Much of the reason that he was less successful than he could – and perhaps – should have been is due to the cold discipline that took him on that fourteen year march to the Premiership. I understand that kind of discipline. It was a quality that I looked for in the hundreds of young men who served under me in the Bermuda Regiment and who were picked out or who volunteered for NCO and Officer training. It is a rare quality. That quality of discipline, if it exists in a leader must always be matched with a system that both supports and limits. Supports actions that lead on to the objective; limits actions that veer off the objective. Militaries, who routinely put awesome power in the hands of strong aggressive leaders, know this only too well. In essence, from 2007 to now, a strong aggressive and intelligent leader who was well-endowed with that rare quality of cold discipline was leading a group of people who never ever amassed the strength to balance and support him. Good militaries are always particularly careful to match a strong aggressive leader with an equally strong and counter-balancing administrative and support staff. In essence and summing up succinctly: Dr Brown is and was a strong leader who needed to be matched with a strong staff and support system. During his tenure as Premier, he had neither. This lack of support coupled with an inability to better balance his actions meant that many actions started by him would falter and some wither; unless he re-applied his personal energies. Dr Brown was a good leader, but, because of real problems stemming from the poor quality of leader support, he became, in the end, not the right person to handle the complex social and economic problems that needed resolving. Much of the fault lies outside him. He was a man too strong for the times. A mis-match. History records many such mis-matches.